Liwayne Adventure Tour & Travel is a new travel agent based in Manado, North Sulawesi of Indonesia with its owner Theo Henoch, one of well reputated senior guide in North Sulawesi as director, started the operation since the end of 2005 offering tour and vacations services to North Sulawesi and beyond. Theo Henoch is a low profile and flexible man that since his years of guiding tour manager experience in several famous travel agents in Manado keeps his ambition to manage his own company. With his nice wife support, at the end of 2005 his dream came true. In his business to make your visit succeed is the most important. Therefore as a flexible man, he always help the client to set up the best travel planning with flexible itinerary low cost packages and excellent services. Theo Henoch himself sometimes becomes your guide or keeps monitoring his guide and he is always very willing to help to solve any of your traveling problem. We have competitive prices for available stars and non stars hotel in town so do many island and mountain resorts. We understand that some times very difficult and expensive for you to arrange your flight within Indonesia from your country. We can help you solving the problem. You can take a look at some of our Tour Package with its itineraries. Some people like to combine several packages or choosing some tour on their own interest and we help them to make it a wonderful package. Give it a try ! 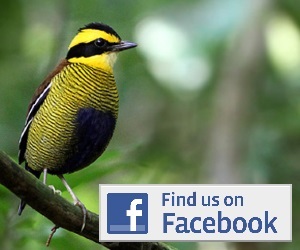 We conduct bird-watching trips within Sulawesi and beyond with years of experience and reputable. 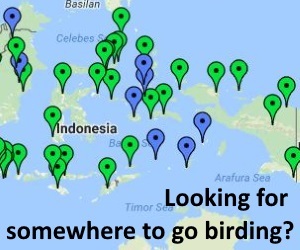 Some of the famous destinations for the trips are; Halmahera, Sangihe Islands, Tangkoko & Dumoga Bone National Park, etc. Our carefully tailored diving and snorkeling packages covering Bunaken Marine Park, Lembeh Strait, Bangka Islands, Togian Islands, etc are also available at competitive prices. Should you need particular services or arrangement such as Vehicle & Boat Rental, Guiding Service, consultation of travelling in Sulawesi or anything, please let us know and we wil do our best to provide you with the most ideal solution. Please take a chance to explore the wonderful site of Sulawesi with a careful, flexible but responsible agent at reasonable costs. See you in Sulawesi !